The films Beavers made between 1967 and 2002 are collected together in the cycle “My Hand Outstretched to the Winged Distance and Sightless Measure”, which comprises 17 individual titles and a prologue. Since finishing this series, he has embarked on new works, beginning with Pitcher of Colored Light in 2007. 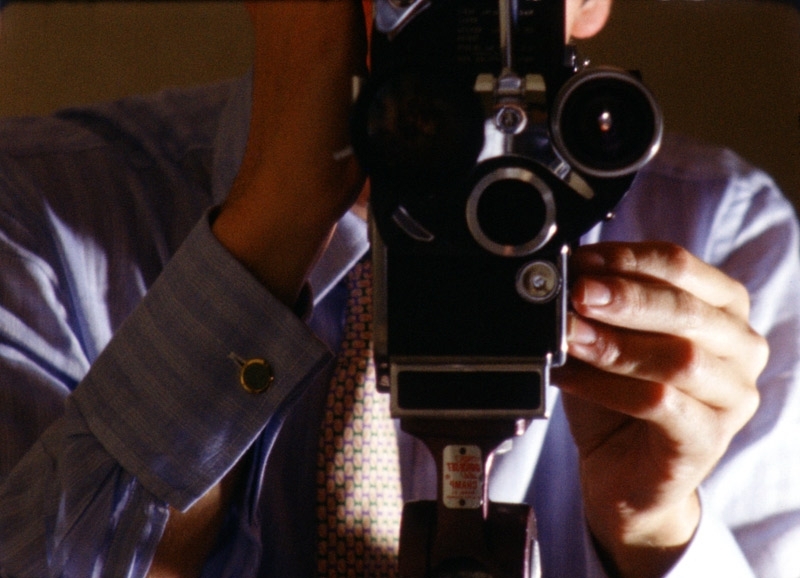 Beavers’ filmmaking began in earnest with several works being completed in the space of three years. The earliest films, from Winged Dialogue to Still Light, shot variously in Greece, Belgium, Switzerland, Germany and England, are stylistically adept whilst displaying a youthful dynamism. Made when the filmmaker was only 18 to 21 years old, they suggest a sense of adolescent isolation and angst. Diminished Frame, a bleak view of Berlin, powerfully conveys the alienation felt by the filmmaker during his first visit there in 1970. Together, the Early Monthly Segments form a prologue to the complete cycle, and is the only silent film. Excerpts are also included on reels containing the final versions of the six early films. These brief exercises apply formal experimentation to personal footage or daily imagery. Whilst offering a glimpse into the lives of Beavers and Markopoulos, they more significantly demonstrate Beavers’ enthusiasm for and exploration of his chosen medium. Beavers’ frequently manipulates the field of vision by inserting coloured filters, applying mattes that selectively reframe or block out the image, and by turning the lens on the turret of the camera. The rapid, diagonal motion that arises from the latter device is echoed by the unconventional use of swift pans and tilts. From the Notebook of … is an axis on which the two phases of Beavers’ oeuvre are balanced, being a point of convergence between the impulsive early works and the more considered manner of his mature films. It was inspired by the notebooks of Leonardo da Vinci (and writings by Giorgio Vasari and Paul Valéry), and depicts Beavers’ own filming notes, work room and creative process in relation to views of Leonardo’s Florence and details of the Renaissance artist’s life. The self-reflexive nature of the filmmaking is most evident in the early films but continues as a presence in later works in which Beavers frequently draws parallels between the act of filmmaking and the craft of skilled labour. These formal characteristics, often associated with the structural tendency, are tempered by the lyrical qualities of the work, and its intimate relationship to landscape, culture, architecture and history. Work done, a stately chain of elementary images that range from the natural world to artisanal production, marks the beginning of a new approach. From this point onwards, films were no longer centred on a protagonist, but were built on the implied correspondences between objects or visual emblems, conveying emotions and thoughts in an innate or tacit manner. When human figures appear, they act as metaphoric symbols, rarely as characters or subjects. The film Ruskin was motivated by Beavers’ reading of “The Stones of Venice”. Architectural details and views of the Italian city dominate the film, which also features images of London and the Alps, and a copy of “Unto This Last”, Ruskin’s treatise on social justice. Though literature is one of Beavers’ sources of inspiration, his films seldom contain text or speech. Dialogues are created between images rather than through the use of language. Throughout the 1970s and 1980s, Beavers’ films were rarely shown in public. Both he and Markopoulos lived modest lives, dedicated to making new work and ensuring the means to continue, independent even of the support structures and community that had formed around the avant-garde cinema in New York and Europe. In AMOR, as in the later film The Hedge Theatre which was also shot in Rome, analogies are drawn between filmmaking, tailoring and architecture. Images or sounds of the making of a suit, the restoration of a building and of Beavers himself are cut together in complex sequences. The filmmaker’s hand gestures, which frequently reach out into the frame, emphasise a performative element in the making. 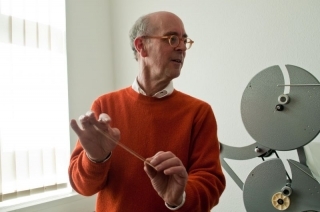 In 1992, shortly after completing the editing of his monumental work ENIAIOS, Gregory Markopoulos died in Freiburg, Germany. The Ground, made over the subsequent eight years, is Beavers’ moving response to this loss. One of the film’s signature images, the ruins of a hollow tower on a hillside above the sea, is also featured in Winged Dialogue, and brings a sense of completion and circularity to the entire sequence of works when viewed in its entirety. As Beavers reached the conclusion of this process, he began to show his work at selected screenings, most notably at festivals in New York, Rotterdam, Toronto and London. This cautious but considered emergence into the public arena finally gives audiences the opportunity to survey his intricately crafted style of filmmaking. “My Hand Outstretched to the Winged Distance and Sightless Measure” offers the contemporary viewer a rare aperture for vision, communicated in the moment of projection. The complete cycle has been presented at the Whitney Museum of American Art (October 2005) and Tate Modern (February 2007), and selections have screened at museums, archives and cinematheques worldwide. For the first film since the 17-film cycle, Beavers returned to the USA to photograph the solitude of his mother’s house in New England. Employing a more intimate approach to filming, he created a tender portrait which contrasts a dark interior with the vibrancy of an abundant garden. On the soundtrack ambient natural sounds are punctuated by brief phrases of his mother’s voice or passages of music from the radio. As seasons pass, the camera searches through shadows, conveying the slowed pace of life in old age. Parallel to his ongoing practice as a filmmaker, Beavers remains responsible for the legacy of Gregory J. Markopoulos and for developing the Temenos Archive which they jointly conceived for the preservation and promotion of their work. Born out of the desire for continuity between the production, presentation, and interpretation of their films, the project proposes a facility in which a projection space, the film copies, and the filmmakers’ writings and documentation can exist in close proximity. In this environment, dedicated spectators would have the possibility to view and study the films in tandem. This ideal was first articulated by Markopoulos in essays published through the last two decades of his life, and has since been taken forward by Beavers in more practical terms of both conservation and public access. 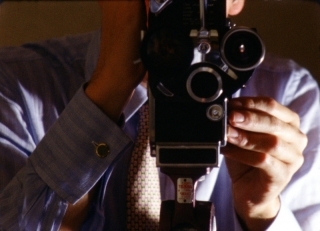 Numerous films by both filmmakers have been preserved, and new prints have been exhibited at venues in Europe and North America. An archive has been established in Zürich, in which the private papers, journals, essays, production notes of Beavers and Markopoulos, plus documentation such as publications, critical writing, posters, photographs and other materials can be stored and made available for research. 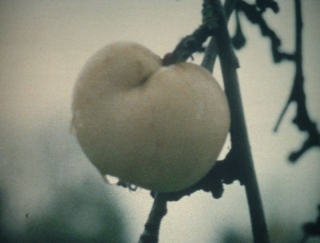 A primary focus of Temenos activity is the costly and labour intensive restoration and printing of ENIAIOS, the 80-hour long film that Markopoulos considered a summation of his filmmaking knowledge. ENIAIOS interweaves approximately 100 individual works including radically reedited versions of his best-known early films and others that have not been shown in any form. This uniquely ambitious film was made specifically for showing in a remote, outdoor location in Arcadia, Greece, where the two filmmakers had presented annual screenings for seven years in the 1980s. In 2004 and 2008, Beavers returned to this site to present the first screenings of the opening hours of ENIAIOS’ to an international audience. The act of travelling to the site, spending some days away from daily life, and the opportunity of viewing a work in total harmony with its surroundings is extraordinarily affecting. Filmed in Switzerland, Germany (Berlin) and Greece. Robert Beavers will present an afternoon seminar on personal filmmaking following the themes of voice, interval and place. 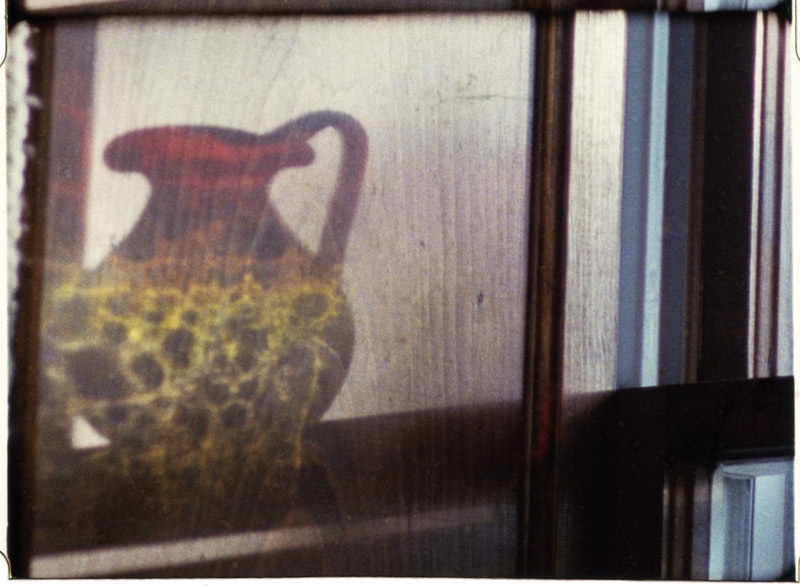 This rare opportunity to participate in an extended dialogue with the filmmaker will include screenings and detailed discussion of works by Robert Beavers, Gregory J. Markopoulos, Bruce Baillie and several contemporary filmmakers working in 8mm and 16mm. “Starting from an observation made by the poet, Elizabeth Bishop, that theories can only be about others’ works or one’s own in retrospect or wishful thinking, I hope to open a discussion about what a filmmaker’s voice might be and how it is sometimes related to a sense of place. I will present films by others and an early work of my own, and time allowing, I may discuss one or two points towards the future to fulfil our poet’s category of wishful thinking. “While viewing these films, I hope to speak about some of the material differences and discuss with the participants how these differences have affected the resulting films. This can provide participants with some background to this area of filmmaking and an opportunity for a comparison of sources for their own decisions as filmmakers or dedicated film spectators. Filmmakers to be presented: Ute Aurand, Bruce Baillie, Robert Beavers, Francois Boué, Helga Fanderl, Gregory J. Markopoulos, Jeannette Muñoz. Bliss is a kaleidoscopic study of the interior of a small, Byzantine church on the Island of Hydra. This will be rare opportunity to view and compare the original version, edited spontaneously in camera over the two days it was shot, and the revised and extended treatment of the same footage, in which the images are isolated by measures of black frames. The filmmaker Maria Lang moved to the countryside to take care of her elderly mother. Maria und die Welt (Maria and the World), by her friend Ute Aurand, is a portrait of that relationship and its setting.